Home › Promotions › Trade in, Trade Up! We accept Any Brand of Motorcycle on Trade for a New Harley-Davidson Motorcycle! We take in Cars, Boats, RVs, ATVs, you name it! 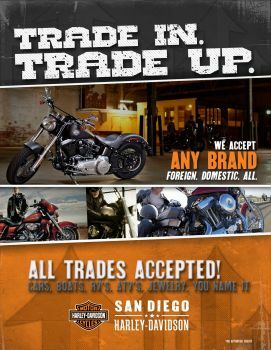 We are all for helping you get on a New Harley-Davidson motorcycle by trading in to trade up! !